Gone are the days when I non-chalantly went to the dentist a couple of times a year for a cleaning and the occasional cavity. 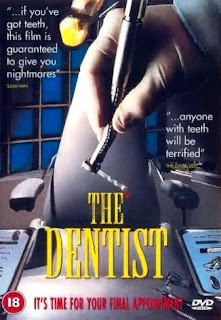 Nowadays instead of a dentist, I have three dontists--perio,endo,and prostho. The first is a gum specialist. The endo-dontist does nothing but root canals and that last guy specializes in what is known in the trade as " dental prosthetics" or to you and me, crowns, bridges and false teeth. Dontists cost a lot more money than dentists and on top of that coordinating appointments between all three of them is quite the juggling act. Paying for them requires a bit of juggling too, I might add. Thank God for Visa. The fact that I patronize a prosthodontist should tell you a lot about the state of my teeth. Actually, it probably tells you more than you want to know. Suffice it to say that for the price of all the crowns and bridges that now adorn my lower jaw, I could have bought a new Lexis ( or at least a late model used one). The pace is accelerating which is a bit alarming. Two years ago it was major bridgework. Last year it was one crown. This year I needed two. God only knows what next year will bring. Now I know that there are many worse problems in the world, and I am actually quite fortunate. But still, I long for the good old days when my teeth were strong enough for me to take them for granted. It seems like only yesterday that I was proud when I lost a tooth and would put it under my pillow at bedtime for the tooth fairy. How things change with the passage of time! Dontists... Catchy title. Yes, what *were* we thinking back in the days when we couldn't wait to lose a tooth? We didn't know the Tooth Fairy's motto was "No refunds, no returns"! !